How does an IT security company ensure its own employees don’t pose a risk? 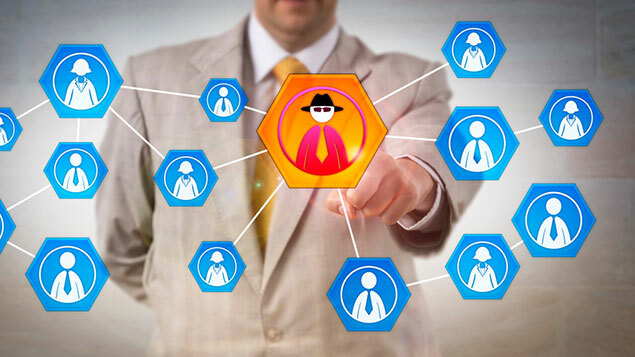 With insider threats on the rise in companies, close collaboration between HR and info-security departments is key, according to Forcepoint CHRO Kristin Leary. It would not be the best brand advertisement if an employee at an IT security company managed to create a breach that meant employees’ or customers’ data was exposed, or managed to launch a crippling virus onto its systems. That’s why security is not just part of the product set at US software company Forcepoint, but also central to its employee culture. “We always have to consider: is this person trying to get into a high tech role to do damage to our customers or employee base? All of our managers get detailed training on what to look out for,” says Kristin Leary, the company’s chief HR officer (CHRO). Managers are coached, for example, in how to incorporate asking questions around potential risks in recruitment interviews. Once they join the company, employees are encouraged to air any suspicions about colleagues’ behaviour, even if these turn out to have no foundation. Workers can do this through a number of channels, either via HR, anonymously, or by speaking to the company’s chief information security officer (CISO), with whom HR works closely. “It’s about creating an open culture, not one where people are fearful of their employer. It may just be there’s something we can help with in their personal or professional life, rather than something harmful,” says Leary. Last year Forcepoint acquired RedOwl Analytics, a security platform that shows up any anomalous interactions or access points from employees across the systems and devices they use. This means the company can now better predict risk as well as deal with it, “scoring” employees on the likelihood they might cause a security breach. A central part of maintaining its open culture is working closely with IT, legal and security teams. “I don’t know many CHROs who have this level of collaboration, but you need it for an effective cybersecurity programme,” says Leary. Different perspectives on employee activity can help to build the right response, she adds. With insider threats becoming one of the biggest risks posed to businesses, Forcepoint’s collaborative approach to keeping its employees, customers and data safe seems to be a successful one.